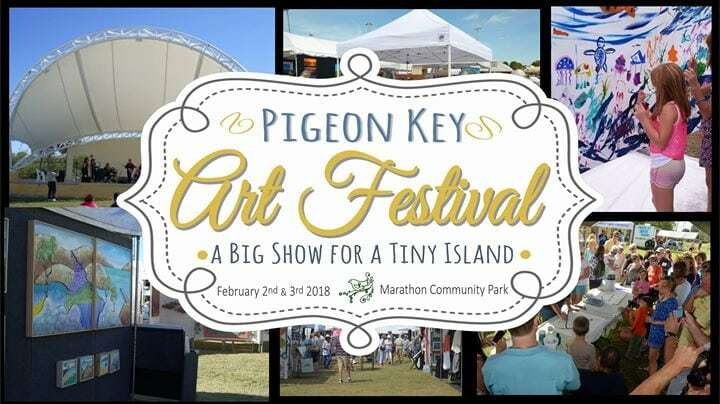 Held as a fundraiser for the tiny historic island called Pigeon Key in the tropical Florida Keys, this two-day juried event attracts exemplary artists and quality buyers from across the globe. The festival takes place February 2 & 3 at the Marathon Community Park, MM49, Marathon FL. and offers more than 50 fine artists and craftsmen, delicious local cuisine, live art and auction. Back this year will be historical elements, period entertainment and educational programing highlighting the The Pigeon Key Foundation and Marine Science Center Foundation’s important projects. Interact with our community partners from the Dolphin Research Center, The Turtle Hospital, Save a Turtle org., Friends of Old Seven and more. Meet marine artist @[373285222200:274:Carey Chen Art] who will be painting live a special piece for live auction on Friday night. Join us Friday evening after the show closes for a live fine art auction at 5:30 pm featuring work from Carey Chen, Wyland, Guy Harvey and more. Then stay for for a fun evening at the band shell on Friday, Feb. 2 from 6 to 9 pm with trop rockers @[107192394491:274:Howard Livingston and The Mile Marker 24 Band]. We hope you’ll help share this celebration of art, history and community with your guests. Admission is only $7 for both days and includes the concert (no charge for kids 12 and under) and a half price ticket on the ferry out to Pigeon Key island anytime in the next week. Every dime stays local to help the Foundation carry out its mission to promote and preserve History, Education and Research. For those looking for stays shorter than one week, Lime Tree Bay has townhouses... Florida Keys Vacation Rentals Inc. updated their profile picture.